As part of mission service for Methodist Dallas Medical Center, each baby born in December goes home in a Christmas stocking sewn by auxiliary members. Two hundred and twenty stocking materials were prepared and Circle of Love representatives brought their share back from the November 5 meeting of the auxiliary. 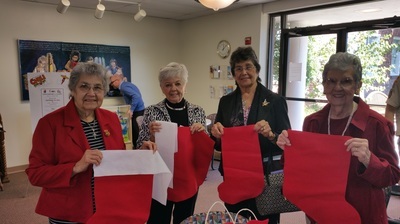 Seamstresses (left to right) Nora Betancourt, Carole Walker and Carmen Gonzalez, shown with circle leader Lou Leftwich, will be sewing the stockings in time for the next auxiliary meeting December 3, when Regina, Lou and Jo Ann will deliver the stockings for immediate service as the babies are born throughout December. Note: Carmen has the "preemie" size stocking; the others hold normal birth weight newborns. 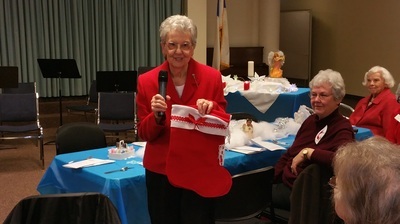 All Christmas stockings have been sewn and the finished product is displayed here by Lou Leftwich at the December General Meeting. The newborn stockings are headed to the Hospital Auxiliary meeting on December 3. 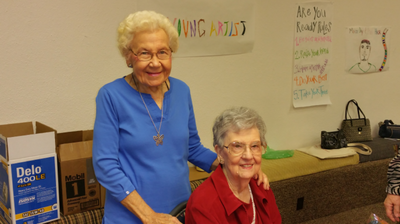 Merry Christmas to the new moms and dads! 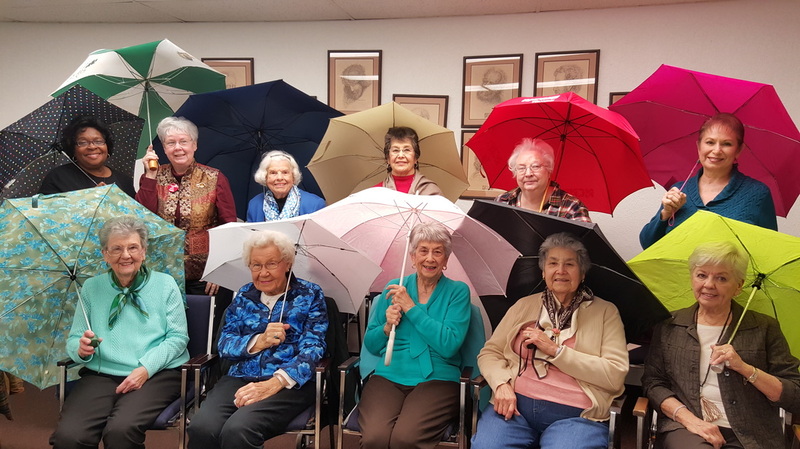 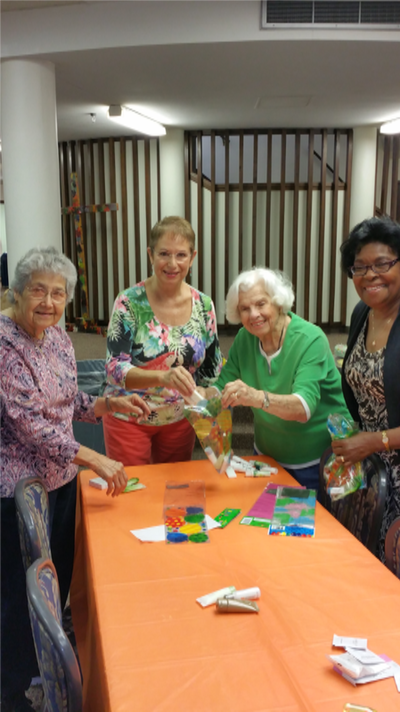 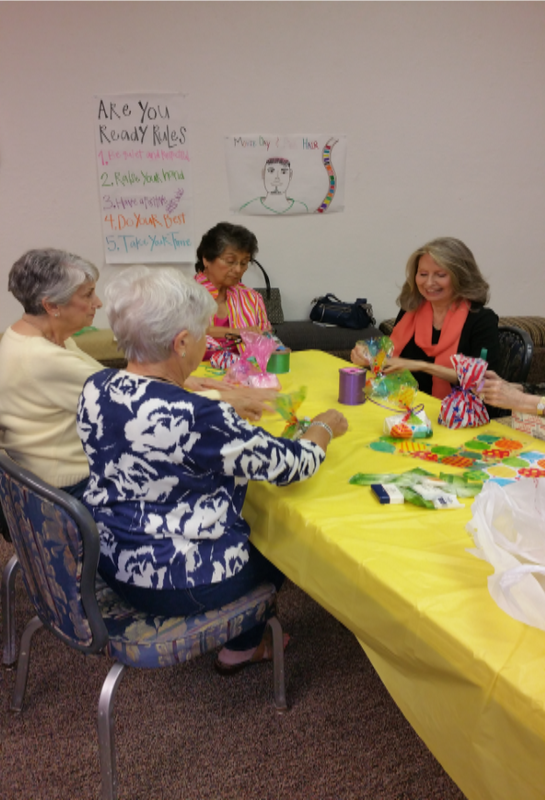 ​At their regular circle meeting in the church Youth Center, an "assembly line" was formed by the Circle of Love to pack toiletry bags for patients at the Methodist Dallas Medical Center (MDMC). 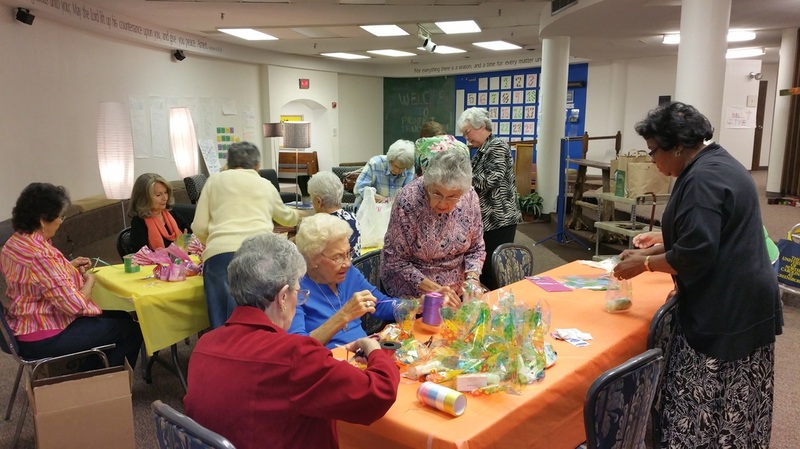 Shampoo, soap, lotions, and other toiletries were placed in colorful bags, boxed, and taken to the hospital auxiliary meeting, November 5, in Hitt Auditorium at the hospital.